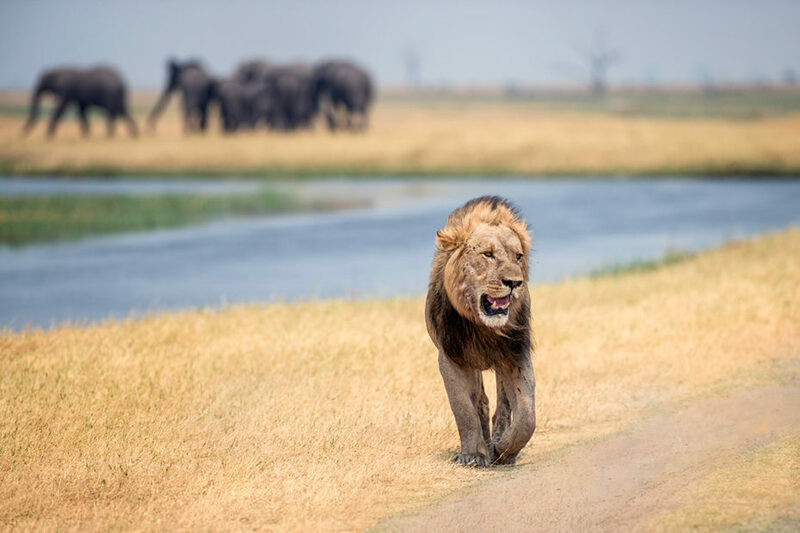 In Tanzania, a mass movement of animals is underway—the greatest wildlife show on Earth. 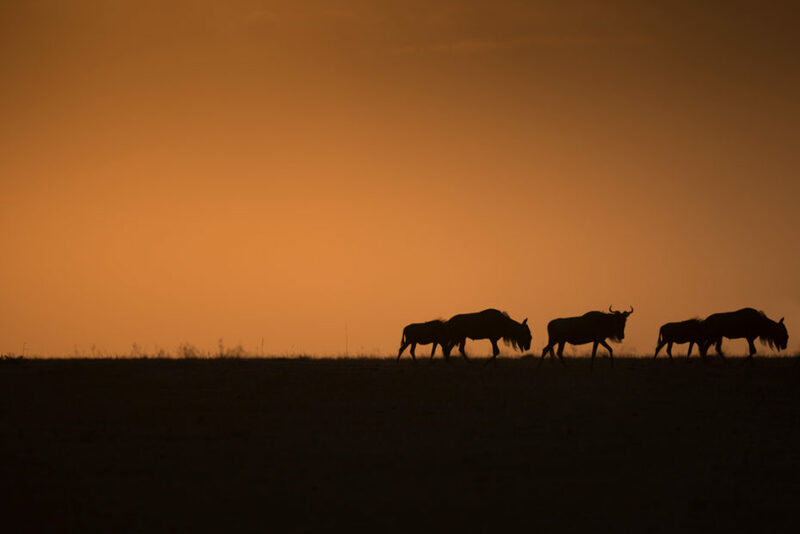 Open, golden plains are dotted with thousands of wildebeest, while predators add to the drama and action as they hunt their prey. 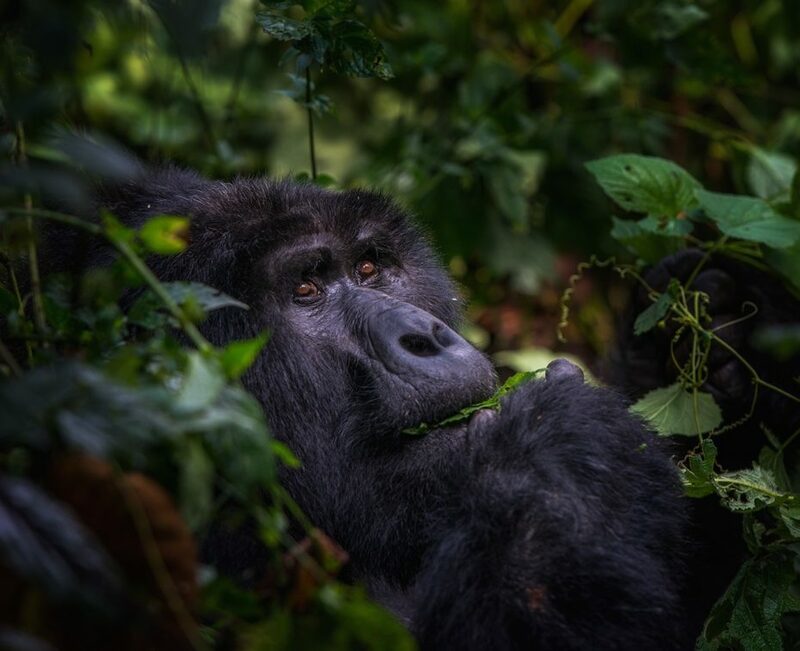 Head to Rwanda and come face-to-face with mountain gorillas. Walk down the secret paths of their natural habitat and share in the daily lives of these magnificent, fascinating, and extremely rare beings. There was just a mass of wildebeest and zebra all around us, and as far as the eye could see. 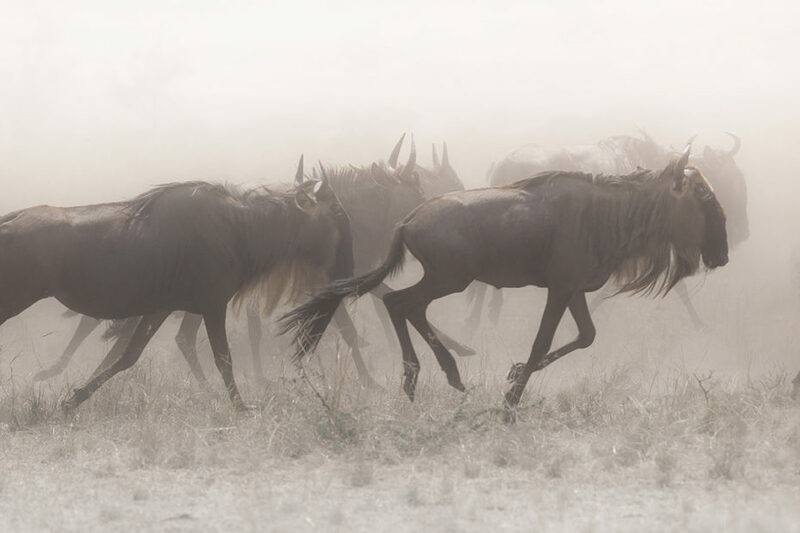 Huge bellows of dust in the far distances, as these migratory animals gallop up and down the relentless banks of the great Mara River…simply incredible. Single supplement applies. Please contact us for details. Explore this vibrant and bustling town and one of Tanzania’s largest coffee plantations as you get prepared to venture out into the bush. 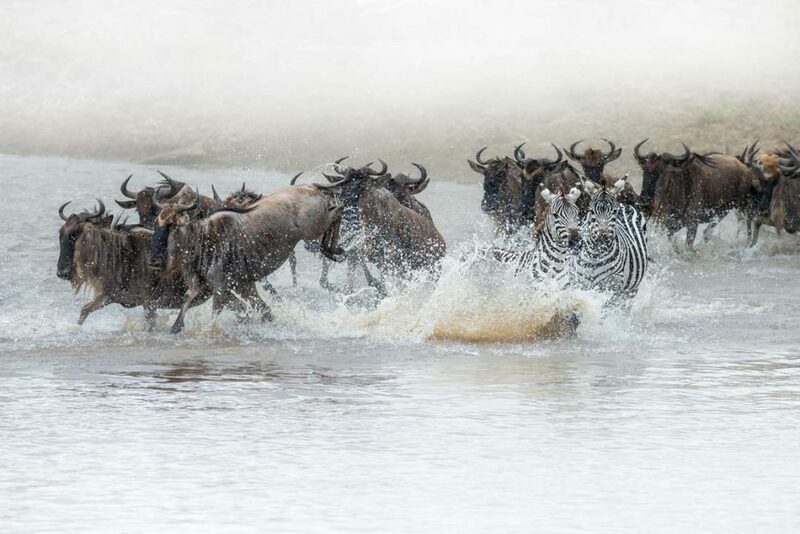 Become fully immersed in the wilderness as you discover the stage for the largest movement of animals in the world. Take a day to relax in this bustling capital city with lush hills and winding boulevards before heading back out into the wild. Spend time with gorillas in their natural habitat in this world-famous national park.